Estepona is a resort town on the Costa del Sol in southern Spain. A palm-lined promenade, the Paseo Marítimo, runs next to the Playa de la Rada beach. Nearby are the restaurants and water sports facilities of Puerto Deportivo, plus a fishing port and the cove of Playa del Cristo. The whitewashed old town centres on the flower-filled square of Plaza de las Flores, home to the eclectic artworks of the Colección Garó. Its district covers an area of 137 square kilometres in a fertile valley crossed by small streams and a mountainous areas dominated by the Sierra Bermeja, which reaches an elevation of 1,449 m at the peak of Los Reales. Estepona is renowned for its beaches, which stretch along some 21 km of coastline. Due to its natural environment, surrounded by the sea and the mountains, Estepona has a micro-climate with over 325 days of sunshine per year. it has two EC Blue Flag beaches, a modern sports marina with many tapas bars and restaurants. The white-walled town centre has many shops and picturesque squares. 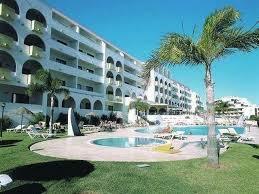 Estepona is a very popular town for ex-pats because of its proximity to Marbella but without the high property prices. The town has traditional townhouses in the old centre through to modern villa and apartments in the urbanisations and along the coast. 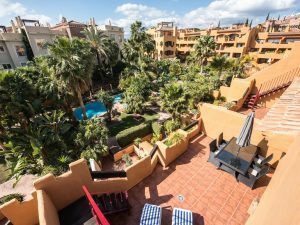 Estepona is one of the most popular locations in Spain for people from across Northern Europe who are looking for a holiday home in the sunshine.